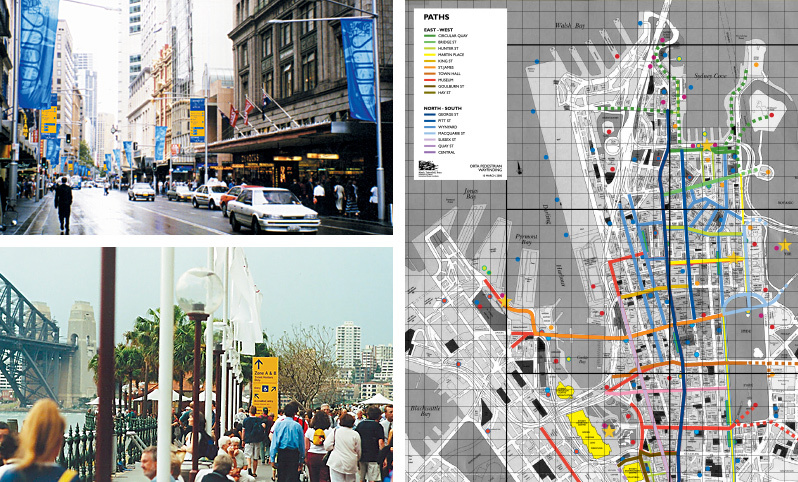 Pedestrian wayfinding in the Central Sydney area during the Olympic Games was aimed at providing an integral system of Olympic wayfinding. The system addressed transport nodes, Olympic venues and activities, City attractions and Olympic Live sites across 7.5 sq km. The message system was to combine existing signage symbols and message relying on standard pictograms. Our aim was to maximise the efficiency of the signage programme by reducing and standardising the different criteria for the types of signs, the proportion, method of fixing, height above ground, structure and hierarchy of information, grouping and layout of messages.